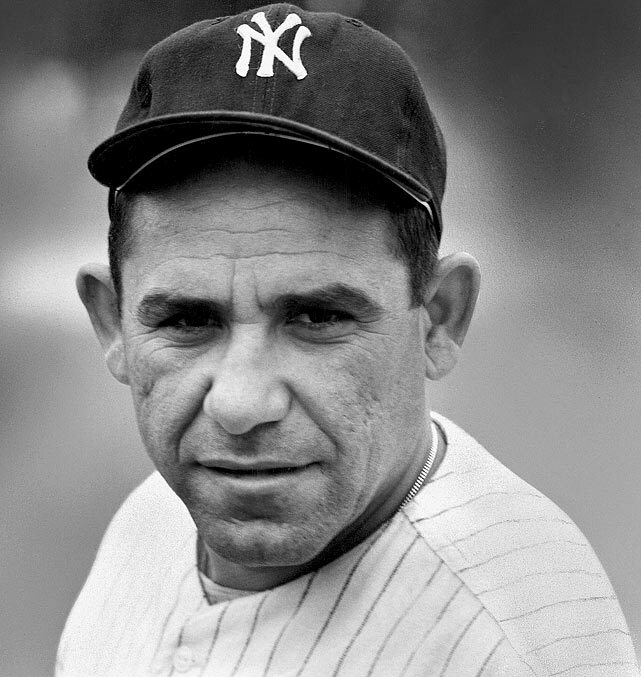 Yogi Berra, one of America’s most famous baseball players, died yesterday. He will go down in history not just for his famous catches, but also for his catchy phrases, which came to be known as “Yogiisms”. His nonsensical witticisms took the form of obvious tautologies* or paradoxical contradictions. * tautology: the saying of the same thing twice in different words, generally considered to be a fault of style. But not in the case of Yogi Berra. This entry was posted in Jokes and puns, Words, phrases & expressions and tagged tautology example, yogiisms on September 23, 2015 by Louise.